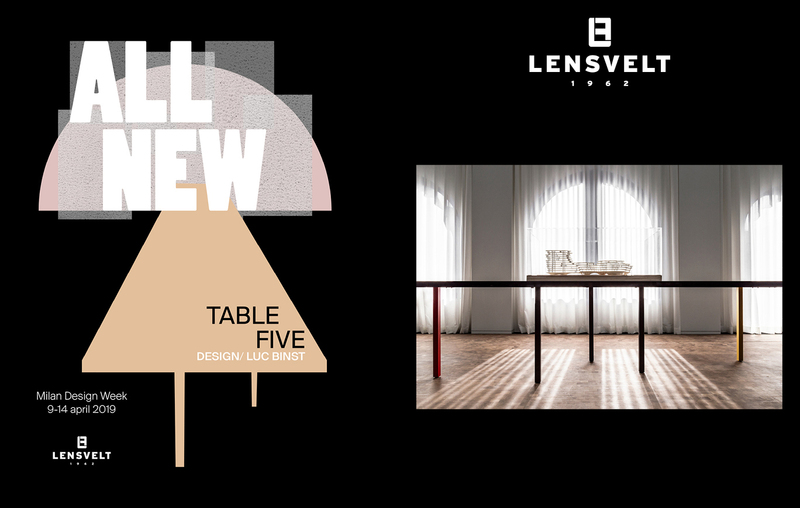 With the All New presentation during the Milan Design Week, Lensvelt will show eight new products in collaboration with internationally renowned designers, architects and artists. The rough industrial space beneath the arches of Ventura Centrale is being transformed into a glowing theater with the scenography of Janpaul Scholtmeijer (JPS Architects). 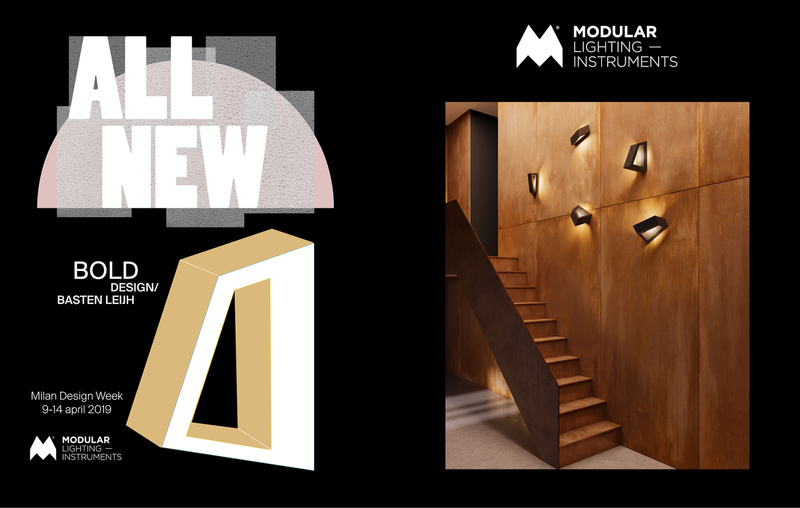 Here Lensvelt exhibits a spectacular show in collaboration with Modular Lighting Instruments. All New is a nod to last year when Lensvelt presented Nothing New in Milan as a sustainable statement against all the profusion of design. This year however, a lot is new. ‘Developing products is often a long process, you never know when a design will be finished’, Hans Lensvelt knows. This year, the pieces of furniture developed by Lensvelt together with various international architects, designers and artists, are almost all ready to be shown to the international public at the same time. 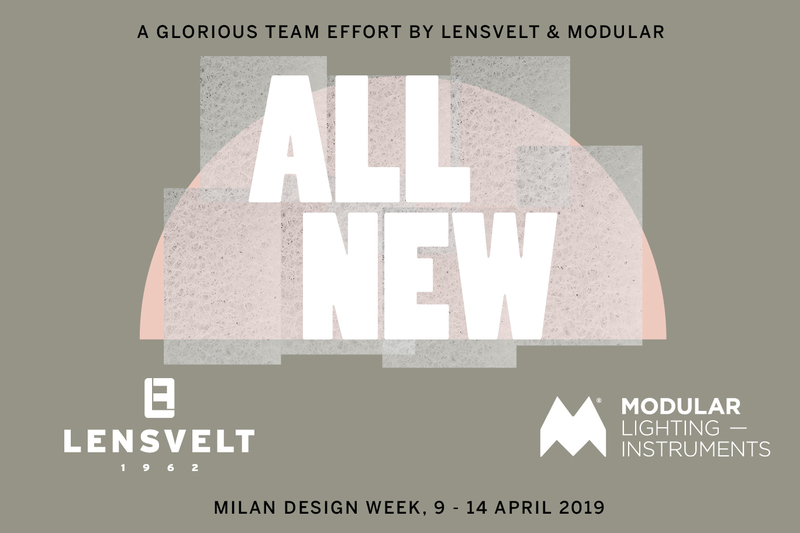 Two distinct, non-conformist brands, Modular and Lensvelt are working together on the spectacular show in Milan. Lensvelt launches a large number of firsts: the New Chesterfield armchair by architects Baranowitz & Kronenberg, Table FIVE by Binst Architects, the modular seating system Blocks by OMA, the New Balance sofa by Fabio Novembre, chairs from i29, Piet Boon and Rick Minkes, and a debutant: a coat rack by Stefaan Jamaer. In addition, Lensvelt will show expansions of successful chair collections by Richard Hutten (This Chair), Maarten Baas (Maarten Baas Chairs) and Atelier van Lieshout (Lazy Modernist and Office Chair), and famous classics such as the Military Chair by Gerrit Rietveld and various furniture by Maarten Van Severen. Modular shines the spotlights on the Lensvelt furniture and also launches innovative lighting, such as rail systems with new luminaires, tactile wall constructions that you can grab and magnetic ceiling luminaires from different designers such as Basten Leijh and Studio Kees. 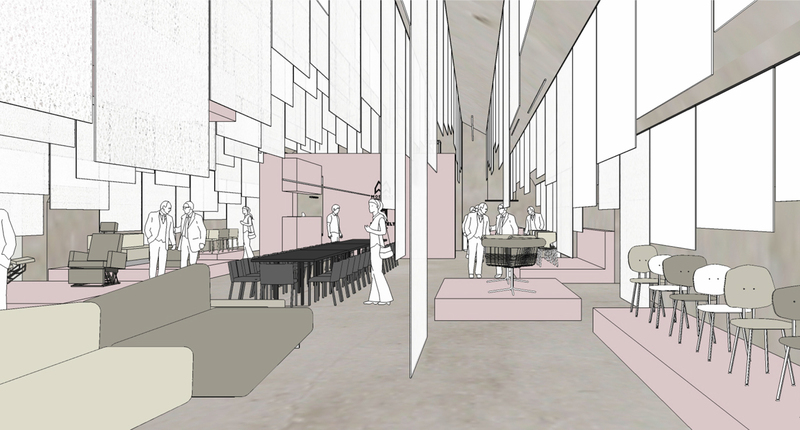 Scenographer Janpaul Scholtmeijer from JPS Architects makes the designs shine like actors on soft pink stages. Attractively illuminated, the furniture seems to play various scenes from a theater piece. The public is invited to enter the theater between the props and the scenes of transparent recycled canvases and to be part of All New! Lensvelt is a committed non-design furniture label established in 1962 in Netherlands. Lensvelt provides architects and interior-designers the ingredients to create ever better and healthier interiors. It’s mission is to serve people and companies, to inspire architects and interior designers. Lensvelt has work from more than 150 of the most remarkable designers, architects, artists and design labels in the collection. Over the years the company has proven itself to be a committed brand, with distinct and often award winning projects and presentations during the Milan Design Week. With the Boring Collection Lensvelt won the prestigious Milano Design Award 2016 Best Concept together with Space Encounters. And in 2017 again for May I Have Your Attention, Please? with the Maarten Baas 101 Chair.